A Link Between Employment Growth and the Housing Bubble? The burst of the Toronto housing bubble in the late '80s significantly amplified job losses during the early '90s recession. It took over two decades for the number of jobs in the City of Toronto to surpass a peak reached in 1989. But of course much of the job growth can be attributed to the population growth. 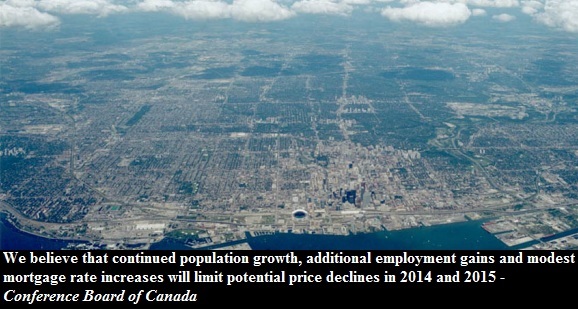 Between 1989 and 2013 the population in the City of Toronto grew by about half a million. 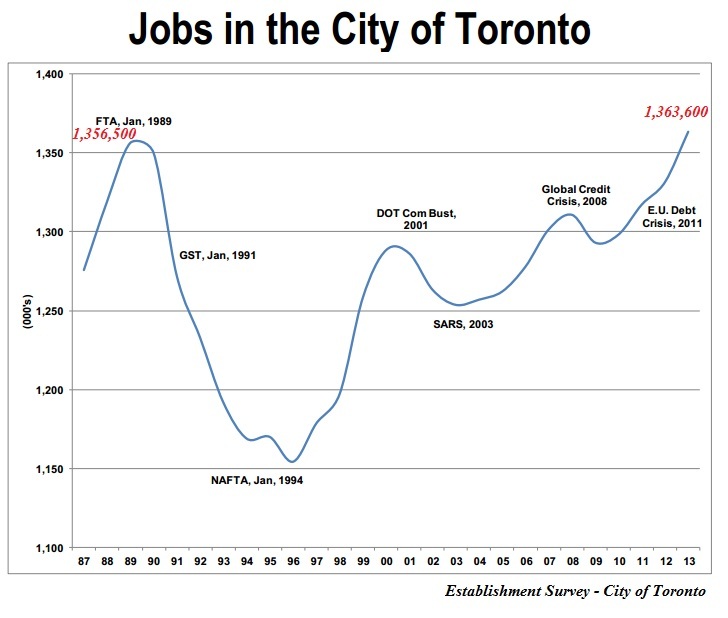 On a per capita basis the number of jobs in the City of Toronto is still far less then during the end of the '80s. 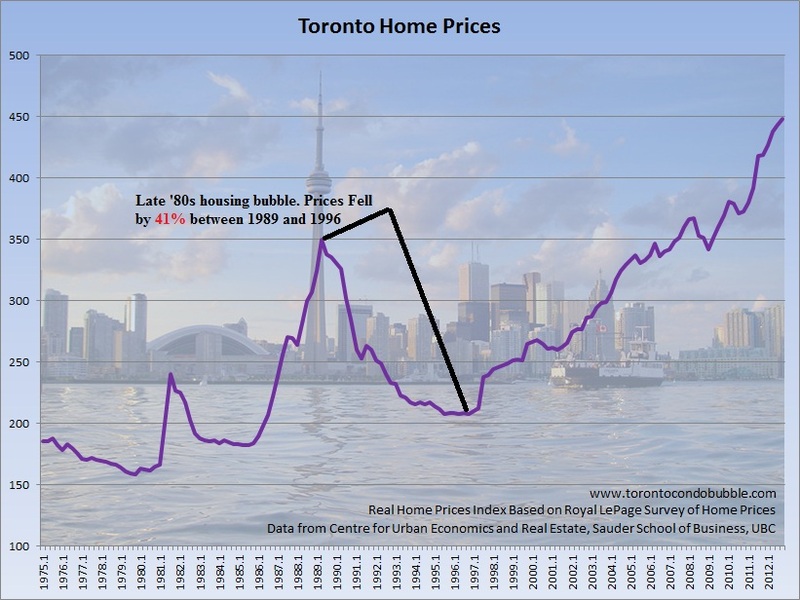 Is it a coincidence that employment in Toronto peaked during the late '80s housing bubble and is now rapidly growing as we are in the midst of yet another condo boom? I don't think so. A recent report points out that 2013 saw the largest annual increase of jobs in fourteen years. Makes you wonder whether that has anything to do with the near record number of condo units under construction during the same year. In 2013 the City of Toronto added 32,100 new jobs. Two thirds of all net new jobs were in the downtown core. Hmm... most of the condo construction also happens to be in the core. 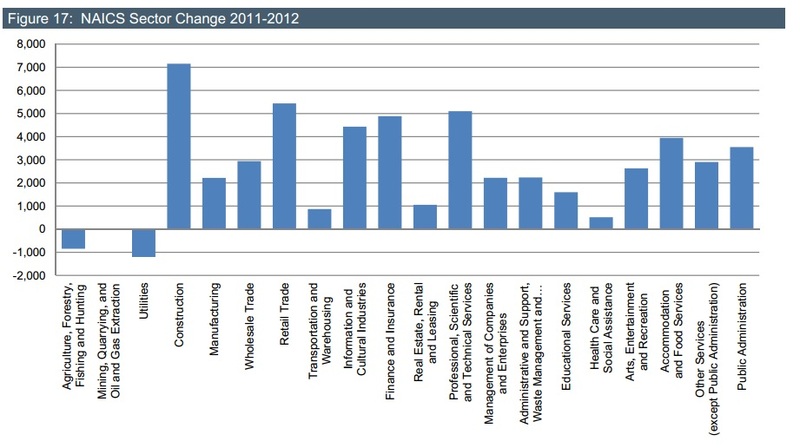 Now the numbers for 2013 are not out yet, but guess what was the fastest growing employment sector in 2012? Surprise surprise, it was the construction industry which grew by 27% in just a year. Often times mainstream economists point out that the real estate sector will be buoyed in the future due to consistent employment growth. But now you know that much of the employment growth is a direct result of the hot housing market. Once the market turns south, so will employment.